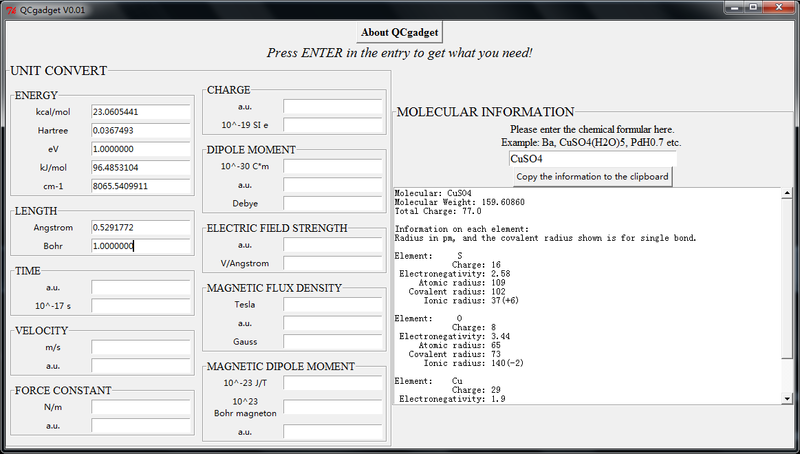 QCgadget is a small program written in Python by me long long ago. It is used to carry out transformations between SI and atomic units. Very convenient and easy to use!